In what could be deemed a poorly guarded secret, the Central Bank of Nigeria (CBN), yesterday, finally announced the removal of the chairman of the board of Skye Bank Plc, Mr. Tunde Ayeni; other non-executive directors of the board; its managing director, Mr. Timothy Oguntayo; deputy managing director, Mrs. Amaka Onwughalu; and two other executive directors of the bank. Expectedly, the shares of Skye Bank Plc fell by 9.5 per cent to lead the Nigerian Stock Exchange’s (NSE) price losers’ chart, as investors reacted to the removal of bank’s board and some members of its executive management team. 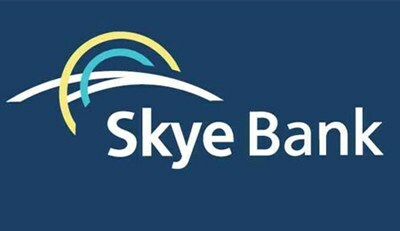 Skye Bank shares fell from N1.00 to close at N0.95 per share. The bank’s shares had suffered a 36 per cent value erosion year-to-date, falling by N1.50 to N0.95 per share and underperforming the NSE All-Share Index which has appreciated 1.26 per cent YTD. As its shares plunged yesterday, they had an overall impact on the banking segment of the NSE as the Banking Index fell by 1.1 per cent. The sector came under pressure following reports of the impending board changes. In all, nine banking stocks ended the day on a bearish note: Other than Skye Bank, FBN Holdings Plc also shed 5.1 per cent, while Fidelity Bank Plc and Stanbic IBTC Bank Plc went down by 4.6 per cent and 4.4 per cent, respectively. Other losers included Diamond Bank Plc (3.4 per cent), Zenith Bank Plc (3.1 per cent), Access Bank Plc (1.3 per cent), FCMB Group Plc (0.6 per cent) and Guaranty Trust Bank Plc (0.2 per cent). For several months, the market had been concerned about the soundness of Skye Bank in the face of insider lender and a growing non-performing loan (NPL) book, which had eroded its capital and liquidity ratios. Alarm bells also went off when the bank issued a profit warning in the first quarter of 2016 and still failed to release its full year 2015 results before the end of second quarter of 2016. By last week, market analysts had confirmed that the bank’s board and executive management were going to be shown the exit after Skye Bank made repeated forays to the central bank’s discount window (lending window) opened penultimate week when the central bank sucked out N1.3 trillion from the banking system through the Secondary Market Intervention Sales (SMIS) inthe interbank forex market. Confirming their removal of most members of the board of Skye Bank yesterday,the central bank said the chairman, all non-executive directors, as well as the managing director, deputy managing director, and the two longest-serving executive directors on the executive management team had been sacked. In anticipation of their removal Ayeni and Oguntayo tendered their resignation monday morning. In the place of the chairman, Alhaji M. K. Ahmad was appointed the new chairman of the board while Mr. Adetokunbo Abiru was appointed the new managing director of Skye Bank by the CBN. Addressing journalists in Lagos monday, CBN Governor, Mr. Godwin Emefiele, said the central bank took what he described as a proactive step in order to save the health of the bank from further deteriorating. To correct the anomalies in the bank, he said the CBN had several meetings with the management and board of Skye Bank as part of its strategy of close engagement whenever a bank’s financial or governance situation poses potential threats to the overall stability of the financial system. Emefiele said despite the expectation of the relevant regulators, market watchers, financial analysts and interested stakeholders, Skye Bank should have been doing much better, but what was evident was the opposite. 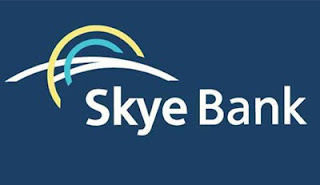 Given the aforementioned issues and the fact that Skye Bank is a domestic Systematically Important Bank (SIB) with significant interconnectedness, he said the CBN would be failing in its duty if it did not take immediate action to nip the steadily declining health of the bank in the bud and correct the situation. Emefiele said in view of the long grace period allowed the bank to correct the situation, the central bank came to the conclusion that, although the existing board had done its best to steer the ship, it was clear that it would be unable to bring the bank out of its present precarious situation. “Fortunately, and in the overall interest of the bank, the chairman and some board members have decided to resign their appointments from the bank. “Consequently, by virtue of the powers vested in the Governor of the CBN, we have decided to reconstitute the board and management of the bank, and appoint new members with the sole responsibility of ensuring the speedy restoration of the health of the bank. “To this effect, the chairman of the board, all other non-executive directors, the independent director, the managing director, the deputy managing director, and two longest serving executive directors have voluntarily resigned their appointments with immediate effect. “In their place, we have selected industry experts and people of high integrity whom we believe can turn the bank around. “In this regard, we have selected Alhaji M.K. Ahmad to be the new chairman while Mr. Adetokunbo Abiru would be the new managing director. The more recent executive directors will be allowed to remain to ensure continuity and a smooth transition,” he explained. Ahmad is a seasoned public sector executive with over 35 years experience spanning the public sector and the financial services industry.